He's big! The Giant Battle Dragon with LED Fire lights up with power. 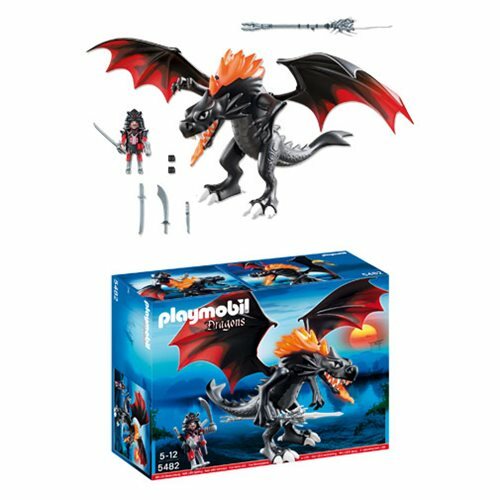 Armed with a sword and the power of electronic light-up pretend fire, this articulated dragon is ready to battle invaders… or anyone else if she's having a bad day. With jointed arms, a big battle sword, and an armed companion figure this set of figures is going to add a lot of magic to your toy box.